Where have my old planning notes gone? The new Planning feature replaces your teacher planning notes. But don't worry, you can still access them, you just won't be able create new ones using the old feature. Any teacher planning notes you've created previously will now be listed under your Planning tab in your Archived plans area. They will appear in the group that you created them in – either the main service planning area, or your room planning area. 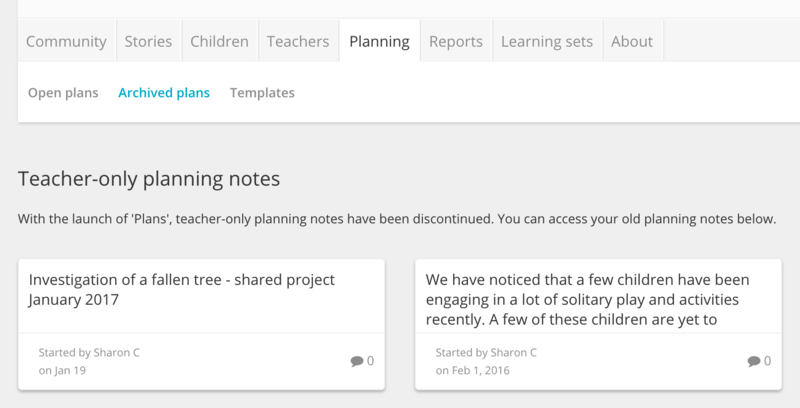 As you begin using the new planning feature, any plans you archive will appear above your old teacher planning notes. If you wish to read an old teacher planning note, simply tap on it to open. Child planning notes are now simply called 'Child notes'. These have not changed, and can be accessed under each child's profile.